Kyle Anderson admitted he’s “fallen back in love with darts” after a stellar display at the World Series Finals. He was superb as he edged out Ian White 6-4 in their all Unicorn clash in Vienna on Friday night. James Wade was also a first round winner but both Dimitri van den Bergh and Keegan Brown fell at the first hurdle. Kyle averaged over 100 throughout his victory and withstood a White fightback to book another all Unicorn affair in the 2nd Round against Michael Smith. The new slower throwing style is working for Anderson. The Australian led 3-0 after a spectacular start when he hit a maximum followed by a 144 check-out, then a 13 darter and a superb D16 from what looked like an impossible angle. Credit to White as he battled back to level. 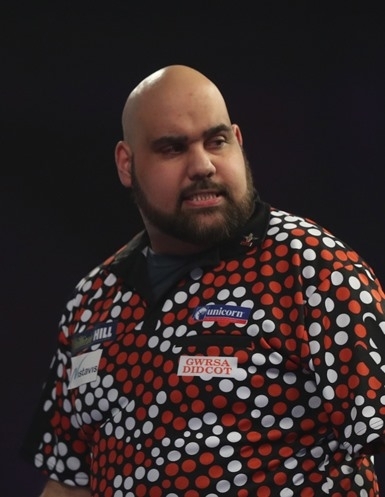 Anderson took out 110 to edge ahead again and missed two darts for a 5-3 advantage, but from four apiece he hit a brilliant 156 finish and won the match on ‘tops’ after White had missed two darts to force a deciding leg. Anderson averaged 101.35 to White’s 98. Newly crowned European Champion James Wade beat Ross Smith to set up a meeting with hometown hero Mensur Suljovic. One break of throw was enough for Wade who carried on in style where he left off in Dortmund last weekend. To be fair Dimitri didn’t do a lot wrong as he was beaten by an inspired Jamie Lewis. The Welshman recorded his highest ever TV average of 109.82 and hit 6/7 on the doubles. Van den Bergh averaged 105 but missed doubles in the 5th and 6th legs proved crucial. Brown missed a trick for sure....he had chances but his Australian opponent was clinical. Smith took out finishes of 94, 100, 87 on the bull and 84 to open up a 4-1 lead and although the Unicorn man won another couple of legs, he had left himself with too much to do.